Sally Gray is an editor who loves to write about local businesses, friends and hobbies. She lived in Folsom for 15 years and now lives in Australia. When she's not working on news and local business marketing, she is a quilter and a professional knitter. Shannon Cheyne, Folsom Historic District Association Director says this has been a huge week for construction. The shed roofs are almost all down in the 800 block. Tonight is the night when the sidewalks will be removed in the 800 block. The demolition should take the next three nights, from 8 pm to 8 am. 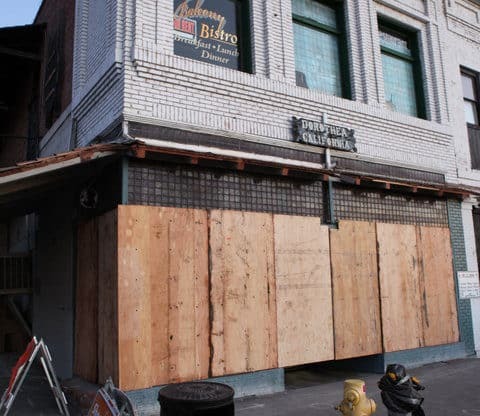 Teichert, the contractor, is paying close attention to business hours to coordinate the demolition when it is most convenient for each business. Once the sidewalks are removed, they will tie in utility services to each building and rebuild the sidewalks. They estimate rebuilding the sidewalks will take two weeks and a temporary pathway will still allow access to every business. Concrete work continues on the north side of the 900 and 800 block. To get a glimpse of what the the street will look like in just a few months, come down to see the concrete across from Wine Styles. See the photo. Underground work continues in the 600 and 700 block. In the 700 block, Teichert is working on a grease line. In the 600 block, water lines are being installed. Starting tonight after working hours, Teichert will leave an opening in the fence for a mid block crossing. This will allow pedestrians to cross the street, without walking to the end of the block. 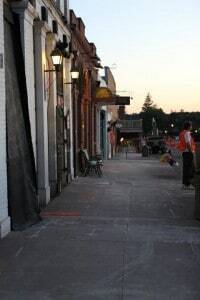 Starting this week, Teichert will be cleaning the sidewalks every morning before businesses open. This should help keep most of the dust under control. Now is the time to come down and see what is going on. Remember, the merchants are open, so you can get what you need and help the merchants at the same time. 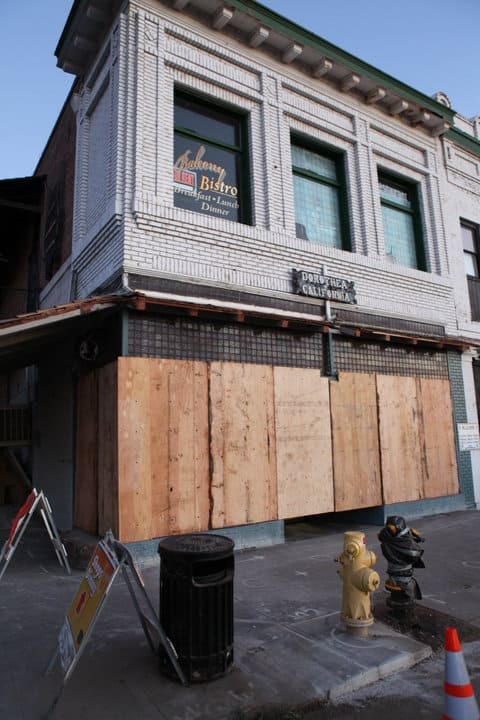 Sutter Street may look like an ugly duckling today, but keep coming down to see the progress, because it will soon change into a beautiful historic swan and if you wait too long, you won’t see it and won’t have been a part of it. Tomorrow is the city-sponsored coffee chat, taking place 8:30 am at the Black Rooster.